The Tennis Elbow Band sits comfortably just below the crease of the elbow and provides pain-relieving compression to the sore area. The design includes a silicone pad and extra elastic strap for additional, targeted compression where you need it most. 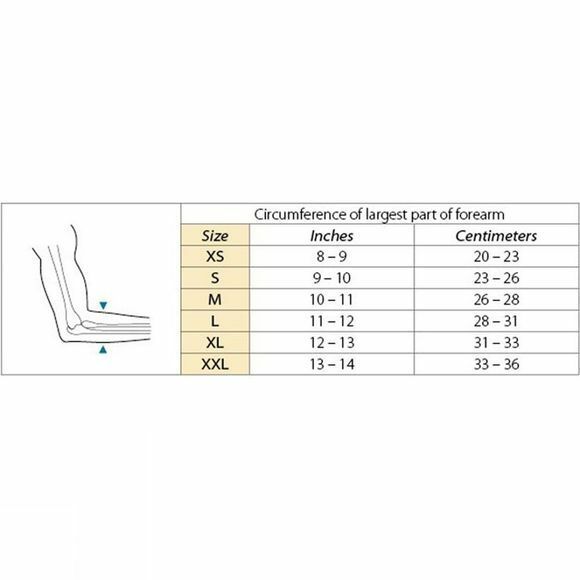 Position the silicone pad on the outside of the elbow to relieve the pain from lateral epicondylitis, more commonly known as Tennis Elbow, or move the silicone pad to the inside of the elbow for relief from medial epicondylitis, more commonly known as Golfer's Elbow. The band is constructed from our breathable and compressive material for the most comfort and effectiveness. Use the Tennis Band to recover from a number of elbow and forearm injuries. The band provides compression just below the joint to increase circulation and reduce inflammation in the area. The benefits of compression allow the tissue time to heal and enhance recovery. The band includes a silicone gel pad that can be positioned for pain relief where you need it most. Place the silicone pad on the outside of the elbow to recover from lateral epicondylitis, commonly referred to as Tennis Elbow. Switch the silicone pad to the inside of the elbow joint to relieve pain and enhance recovery from medial epicondylitis, also known as Golfer's Elbow. An additional elastic strap can be fastened over the silicone pad for targeted compression to the sorest area. Prevent lateral epicondylitis pain, also known as Tennis Elbow, from worsening with the Tennis Elbow Band. The compression provided by the band and silicone pad will increase circulation and reduce inflammation in the area, preventing the onset of injury. 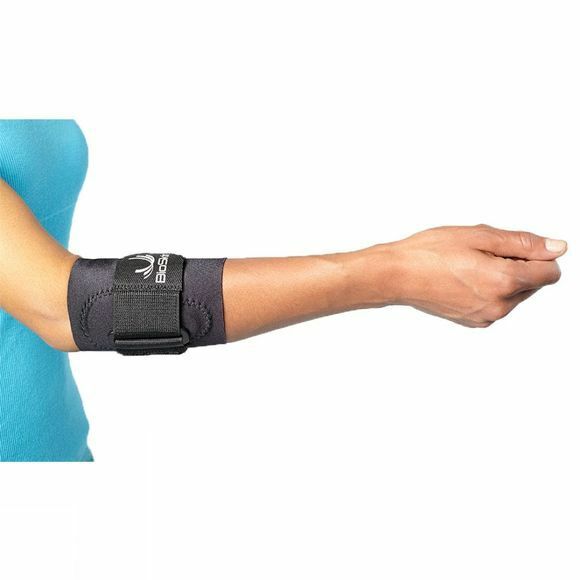 Fasten the elastic strap for additional, targeted compression and extra support of the joint. Position the silicone pad on the inside of your elbow to reduce inflammation before the onset of medial epicondylitis, also known as Golfer's Elbow.